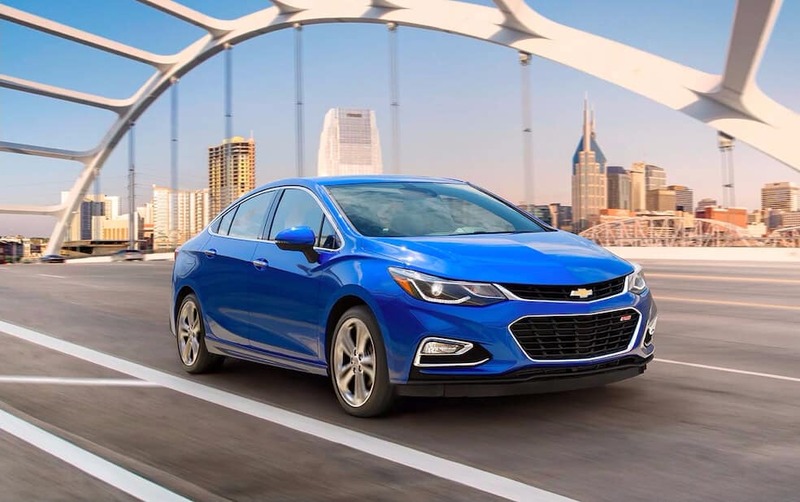 The Chevy Cruze has delighted drivers and critics for many years, and it is clear to see why this vehicle is a perennial favorite. With a variety of trim levels to choose from, you can find a new Cruze that checks off all of the boxes on your wishlist. What can you expect with the latest Cruze? Take a closer look with Sunrise Chevy in Glendale Heights. The Cruze proves that you don’t have to spend a fortune to have the features you desire. Innovative Teen Driver Technology helps parents keep tabs on new drivers as well as helps teens to develop safe driving habits. You also have the option of a sleek sedan or sporty coupe, so it is easy to match your unique style. Why should the Cruze be at the top of your list? Its amenities and warranty outshine many of its competitors! Explore our comparisons below to see how it stacks up to other vehicles you may have been considering. We’re confident that the Cruze will impress.